Harry Potter actor David Legeno died from heat stroke in Death Valley, California, where temperature regularly exceeds 100F, according to reports. According to TMZ.com, Inyo County officials say an autopsy was performed and the cause of death has been determined as heat stroke. 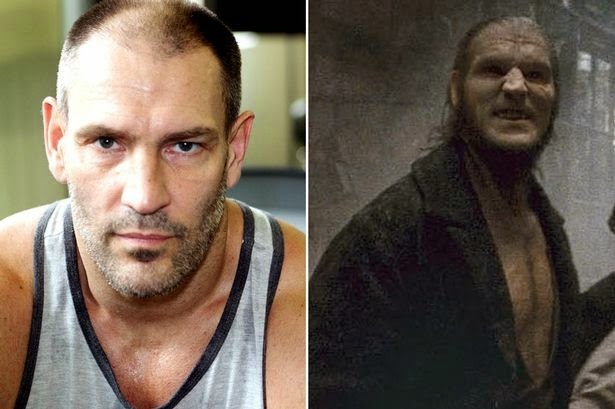 The mixed martial arts expert - who played werewolf Fenrir Greyback in three of the Harry Potter movies - had been hiking in the desert. The body of the 50-year-old was discovered by hikers in a remote wash below Manly Beacon, West of Zabriskie Point, on Sunday.